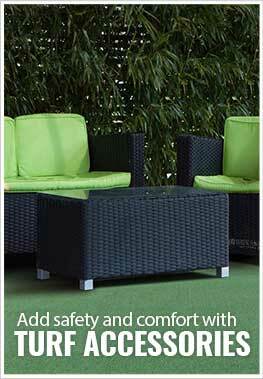 Description - Your yard will always look like summer time with our Always Summer artificial grass. Who doesn't love the look of summer grass, but the maintenance of it? That is for the birds. With Always Summer in your yard, never worry about watering or mowing your grass again. Not only will you save money, but you will also be helping the environment by not wasting water, and you can spend less time doing honey dos and spend more time having fun. This fake grass is backed by a ten-year warranty and is manufactured right here in the USA. Face Weight – 25 oz. Weight – .34 Lbs. per square feet. Recommended Uses – Always Summer artificial turf rolls are great for any part of the country. These turf rolls are installed in front yards and back yards. Can you put this on a wooden deck? You can install our Always Summer Turf Rolls over a wooden deck or any hard, flat surface. Do I need a drainage if I lay artificial turf on my outdoor patio? You don't have to add drainage to your patio if you install our turf on your patio. Most patios have a slight slope to them to allow for natural drainage to happen. If you have issues with ponding of water, you can lift the turf and push the water to a drain or the ground below. When we moved to Arizona recently, the last thing I wanted to do was yard maintenance. The turf is the perfect alternative! I'm so glad we decided to get it. It looks great all year long and I don't have to mow or water the lawn. Life is great! I'm happy to say I don't have to worry about weeds anymore or anything else.